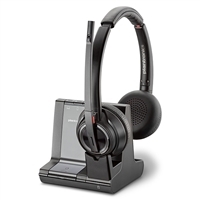 Looking for a headset that is compatible with the softphone for your premise VoIP system or hosted VoIP service provider? With the growing use of soft phones, we get this question all the time. Softphones typically get you all the features from your hosted VoIP service with the flexibility of working anywhere and using an existing device. IP Phone Warehouse gets you the best prices on compatible soft phone headsets for hosted VoIP service providers and premise based VoIP PBX systems. Below, you'll find out what headsets work with your hosted VoIP service platform.